Happy Friday! The hubby has the day off and took Ben to the Seattle Aquarium for the morning, followed by fish n chips for lunch on the waterfront (don't you love the irony?). Anyway, here I am, alone with baby Henry... I think I'm going to hurry up and post these links, then head on out for a walk with the little dude in the wrap. What to do, what to do? Maybe the library or bookstore, a coffee shop and the neighborhood fabric shop? Sounds pretty good to me! Hope you have a great Friday and weekend!! - Beautiful cowl by Snorka Knits, via Whip Up, who also posted a whole list of cowls in a Cowl Fever post. Who knew those were back in? I remember the navy blue one I wore obsessively in the late 80's! - Speaking of quilts... Oh Fransson! has been posting a fascinating series on making improv quilt squares, with the gorgeous collection by Echino. I love this insight into talented Elizabeth's creative process. 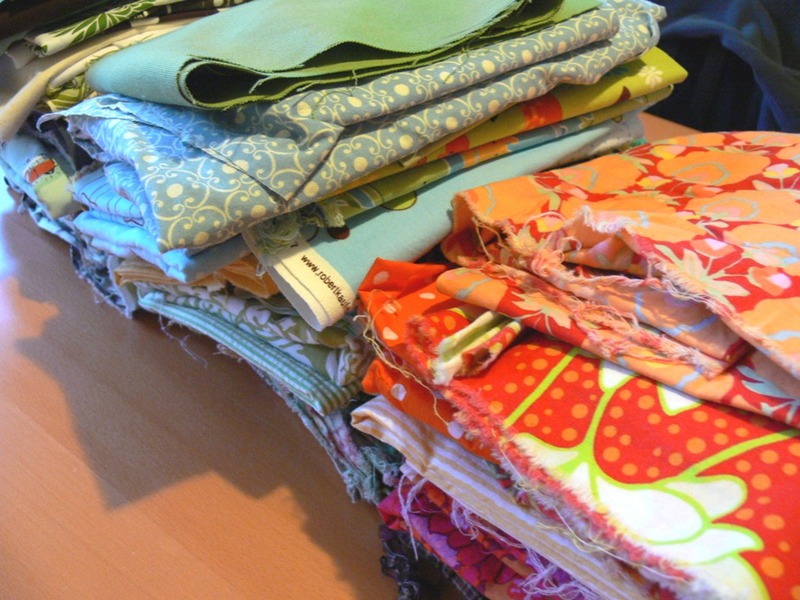 - Cluck Cluck Sew just wrote about how to build a fabric stash. Great, straightforward advice. 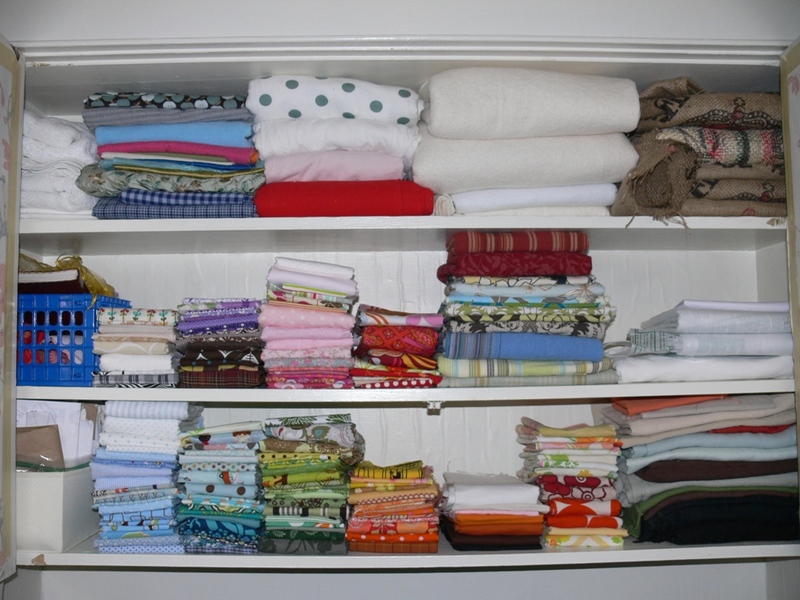 By the way, have you seen her collection of finished quilts? Insanely impressive! - Here's a tutorial for a Child’s D-Ring Belt, by The Crafty Cupboard. I need to make a couple of those for Ben. And that's about it! I have clearly been spending a lot of time browsing the blogs while nursing lately! Hope you enjoyed these links. 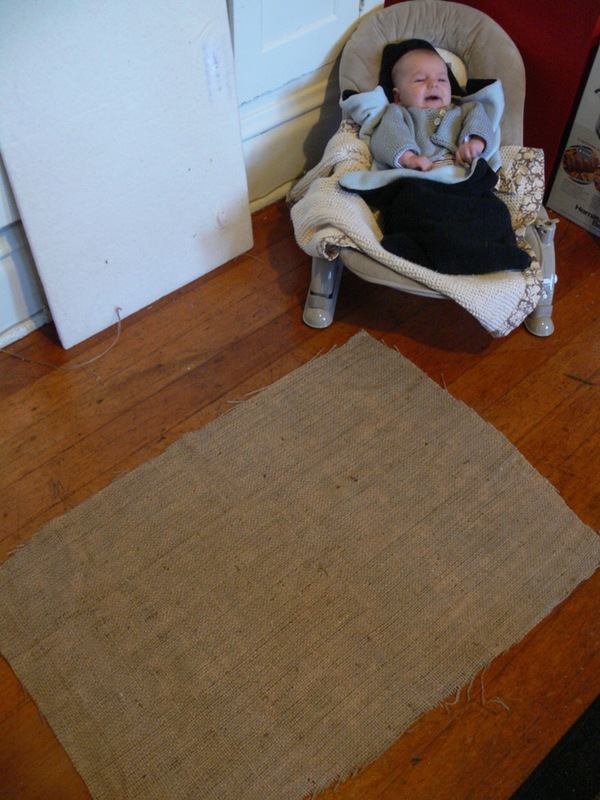 This project is something I've been meaning to do forever: making a large burlap-covered bulletin board for our built-in hutch / mail station / craft supply cupboard / space where all the clutter in the house goes to die. 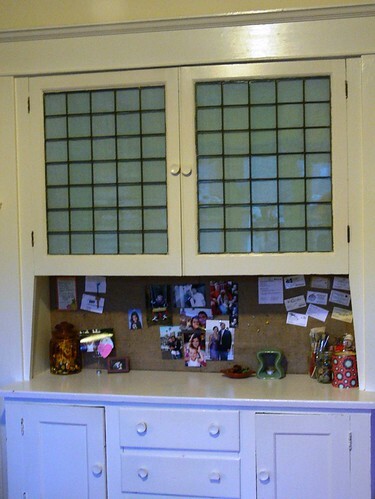 Shortly after we moved in, back in 2009, I taped 4 squares of cork board as a temporary bulletin board area. 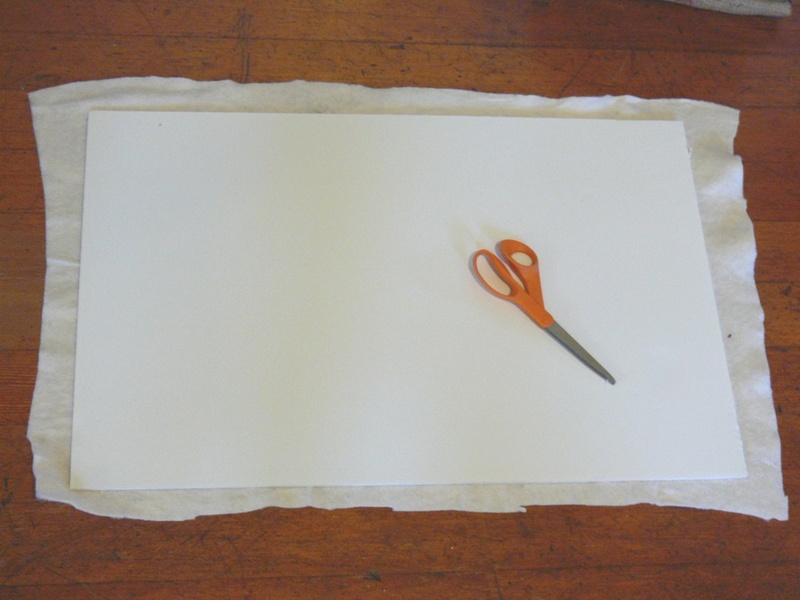 I figured I would soon make a proper bulletin board and bought the foam core sheets for it. Fast-forward almost a year and a half and it still wasn't done. I decided this was the perfect 2-minute increment project to tackle right now. 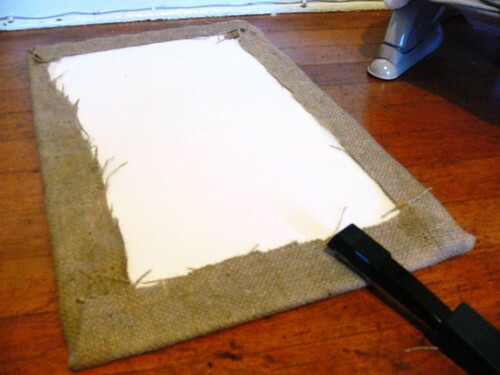 Angel, I know you've made a fabric-covered bulletin board before, and the tutorials for them are all over the web. It's pretty straightforward, here are a few pics and words on my process. 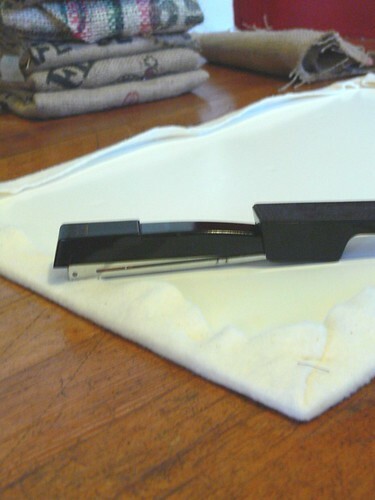 I measured the space and cut the foam core to size (minus about 1/2 inch both direction, which would be filled in by the batting and burlap layers). 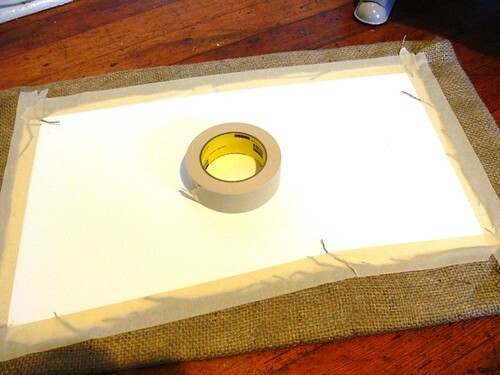 I then wrapped it with a layer of batting secured with a few staples. 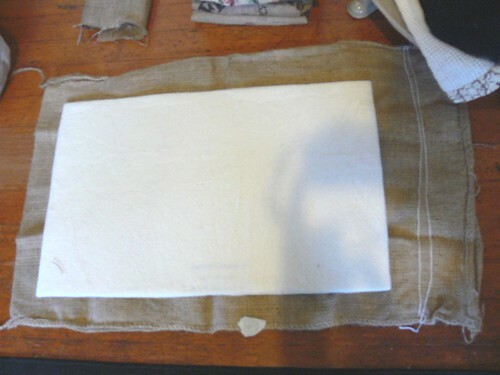 I picked a couple of burlap coffee bags with a clean, untorn back, and cut that out. 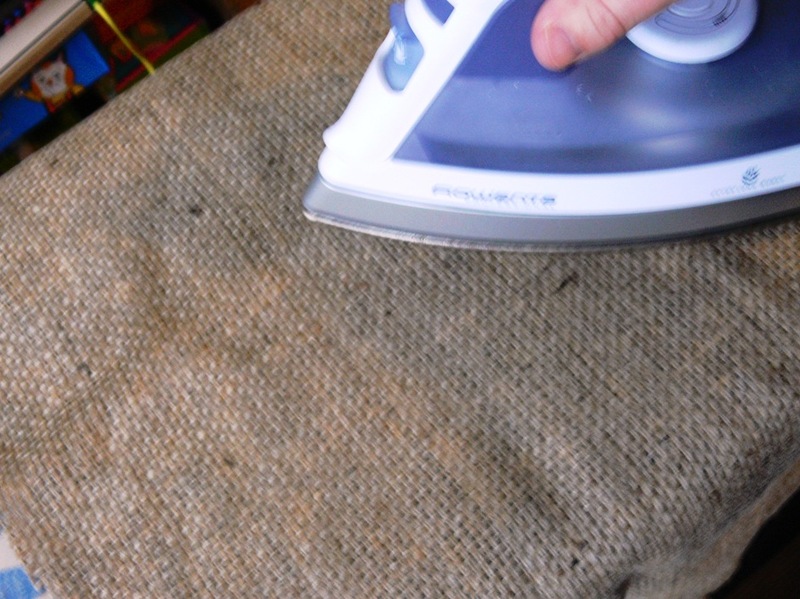 I ironed those plain of pieces of burlap briefly with a steam iron to get them nice and flat. 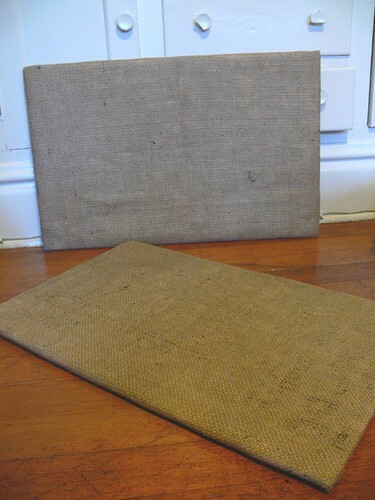 I wrapped my foam core pieces in the burlap, once again securing that layer with some staples and going around the edge with masking tape so it wouldn't budge. 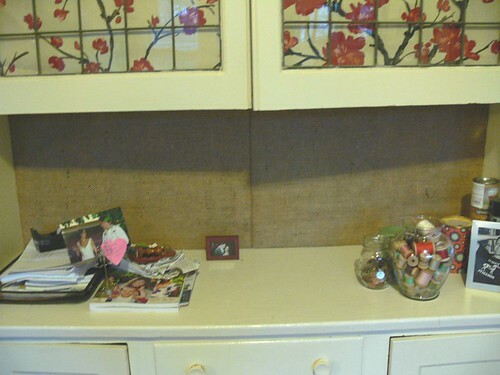 Since I was revamping and reorganizing that space, I decided to change the fabric covering the hutch windows (that hide my newly purged fabric stash). Out with the cherry blossom fabric and in with some crisp blue linen. Ta-da! Psssst! 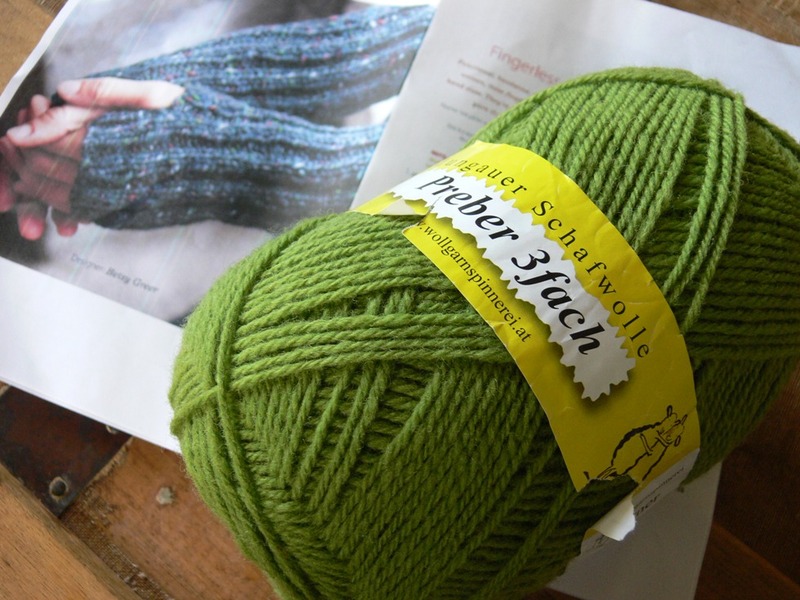 If you're a knitter -- or know a knitter -- go enter our giveaway, "From Our Stash to Yours". From Our Stash to Yours: Giveaway! Welcome to the first post in a new series we'll feature from time to time on Stumbles and Stitches: From Our Stash To Yours. This is a chance for our readers to enter into a giveaway where we feature well loved (new or gently used) things from our respective craft-item stashes. A small way for us to say "thank you" to everyone that reads and supports Stumbles and Stitches! - A knitting journal with enough space to record 28 knitting projects, plus a spot to write your needle inventory in the back, plus a ruler and conversion chart! I bought this book when I first started knitting, and never got around to using it. 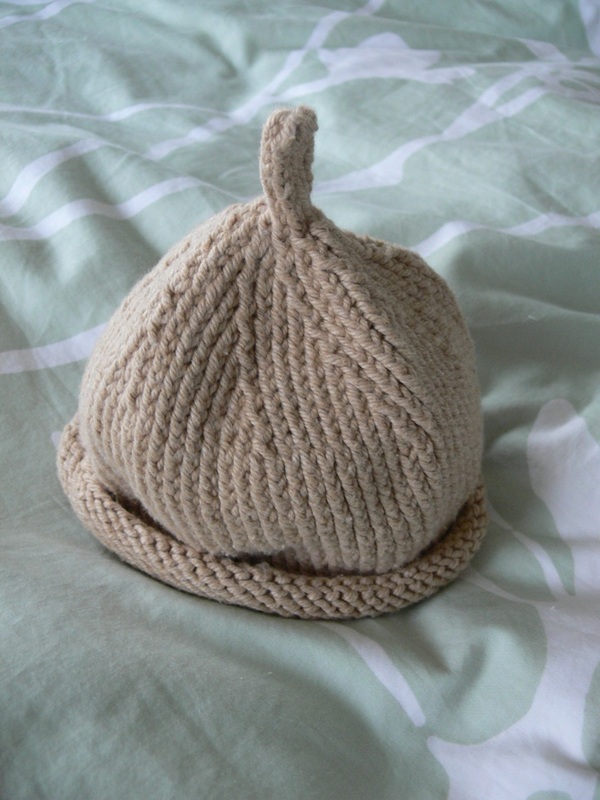 It is well constructed and would make a lovely memento for anyone that knits. And, it is out of print! 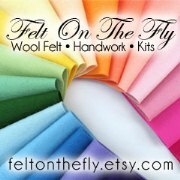 Each page has a place for a photo, a yarn sample and specific details about your project. A copy of The Knitter's Handy Book of Patterns. 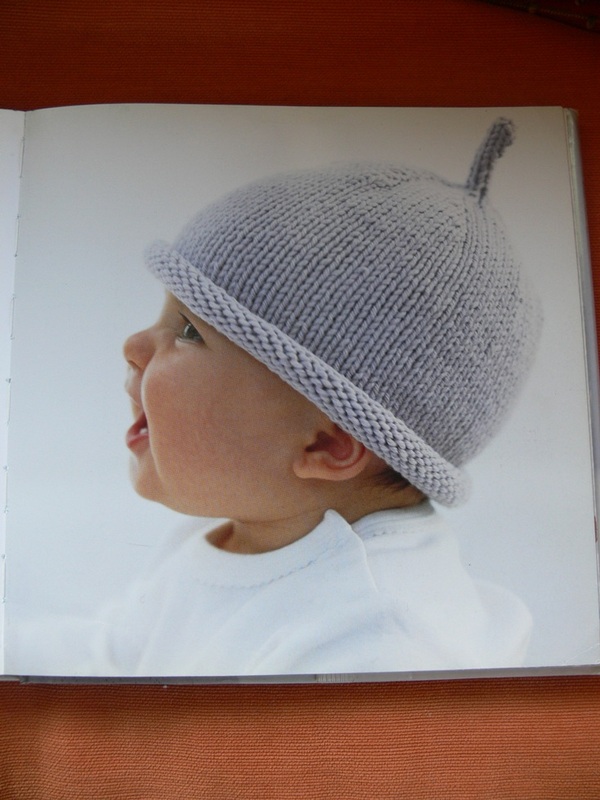 This book has patterns for hats, socks, sweaters and other knitted items with sizes from baby to adult, lots of variations included! I bought this book when I first started knitting, and have referenced the patterns inside for a few projects. I'd love to pass it on to someone else! A skein of cotton yarn in orange, with a set of size 13 wooden needles. Same as above for the pink, there's no label and there's quite a bit of yarn! A copy of "Slave to the Needles" from 2003, this is an awesome knitting 'zine with comics, patterns and more. To enter to win, simply leave a comment here, and let us know if you have a preference for package 1 or 2. Don't forget to provide a blog link or email address so we can contact you. For additional entries, "like" us on Facebook or follow us on Twitter , don't forget to add a comment for each of these additional entries. Comments will close Sunday 1/30 at midnight PST and we will announce the winner on Monday morning. The random number generator gave me number 1 and number 4! Congratulations to Yana and Lora Clare, look for an email in your inbox today! Check out what I just got in the mail! 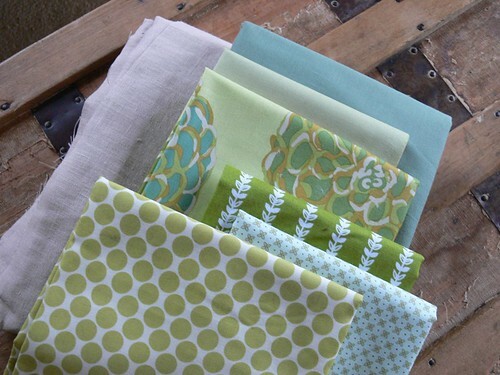 There is definitely a color scheme here and no, I didn't go on a gratuitous fabric shopping spree. I've been "commissioned" by a dear friend of ours to make something... And these fabrics are part of what I needed to make it happen. I'll keep it a secret until I have my act a bit more together. 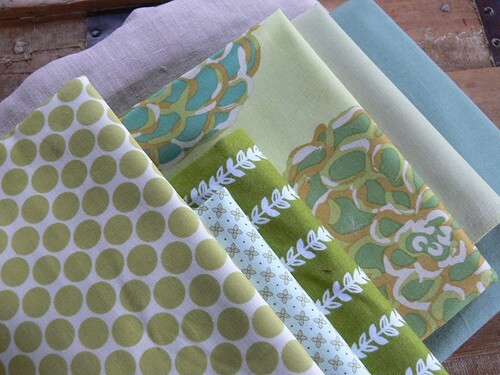 But for now, I will let you admire these additions to my fabric stash! Happy Sunday everyone! Here are some new (and some old) links for Valentine's Day! Jenny sent me two links that she's bookmarked this week too, here they are! I am proud to share that I have already made good on one my New Year's crafty resolutions! 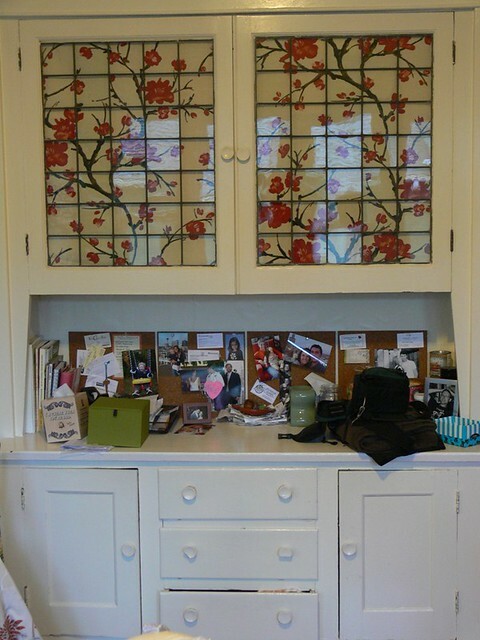 In whatever free minutes I gathered over a very rainy/slushy weekend a couple of weeks ago, I purged my fabric cabinet! I weeded out everything that I clearly will never use. 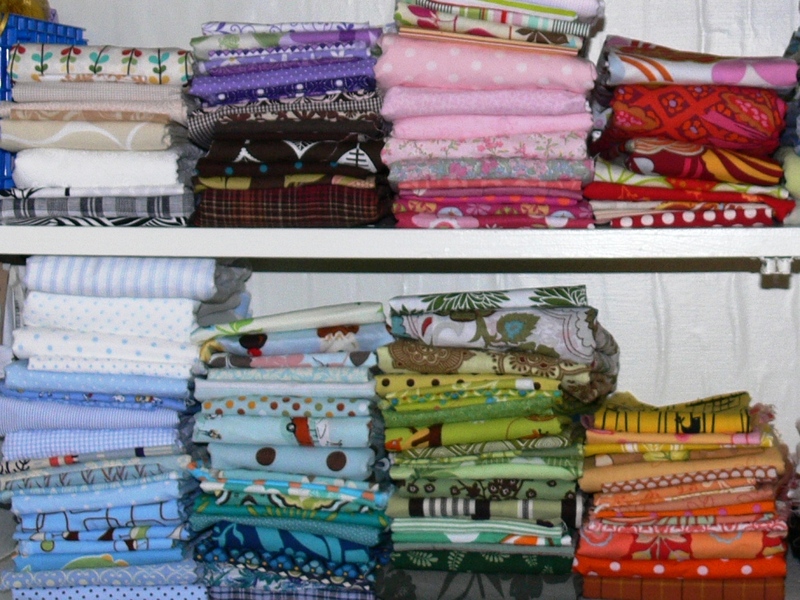 I then refolded and reorganized the remaining stash. And here's the new and improved stash. 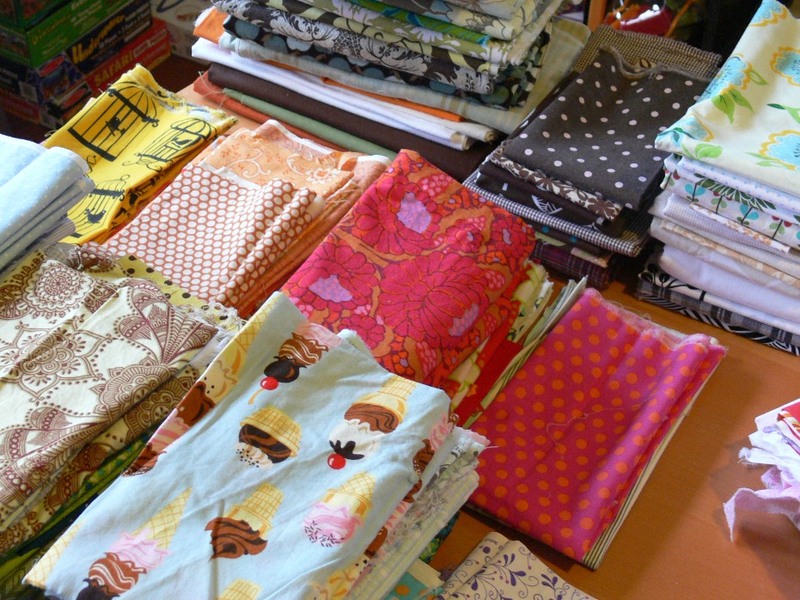 I folded the fabric "narrowly" so that I could see all my quilting-weight prints at a glance. 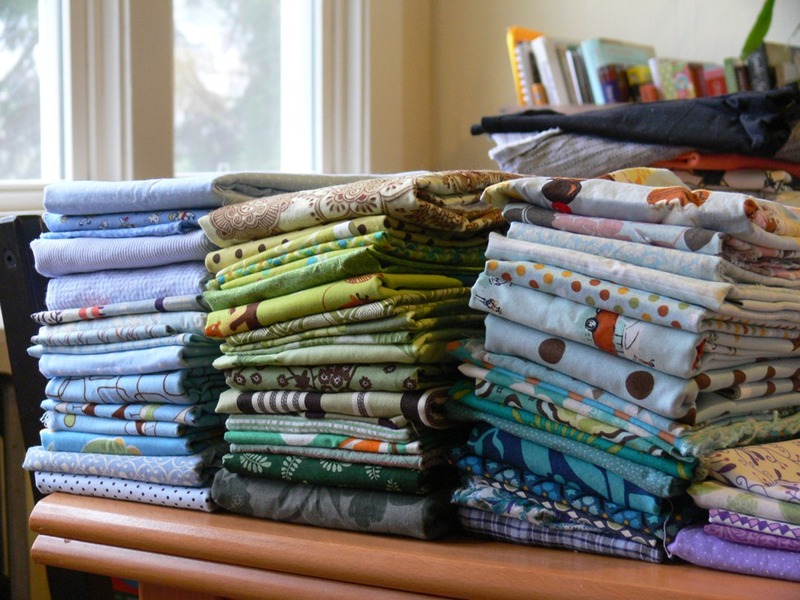 I made a separate pile for solids, and one for vintage pillowcases. 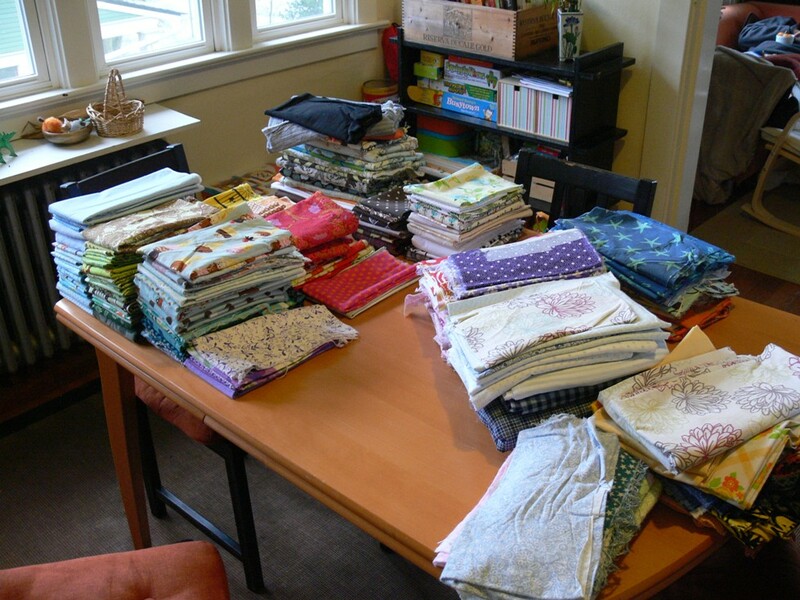 There's a large pile for linens, another one for home dec weight fabrics, and one for interfacing type materials. 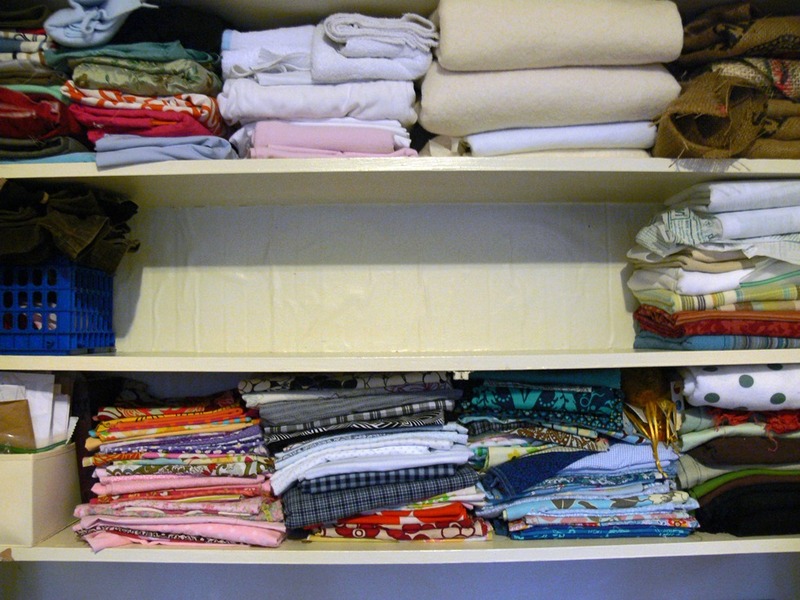 The top shelf holds terry cloth, burlap, batting, flannels and various apparel fabrics like silks, corduroys and knits that I'd like to use for clothing projects. And that's about it! I filled a huge bag with all the fabrics I decided I didn't need. Since I got most of these fabrics from my mom's stash or from the thrift store, I was going to give it away to Goodwill or free on Craigslist, but my friend Monica came over in the nick of time! She is a beginning sewer (and a loyal follower of this little blog!) and I hope she finds some treasures in there for her next sewing projects!! WAY TO GO! Yes, I can definitely see how that would help your creative process ENORMOUSLY. I am redoing my craft area AGAIN and realized after reading this that I have my fabric out, but all my burlap/batting/flannel/vintage sheets are in a bin, hidden in my bedroom closet. I think it's time to get them all out, on one shelf. Thanks for the inspiration! 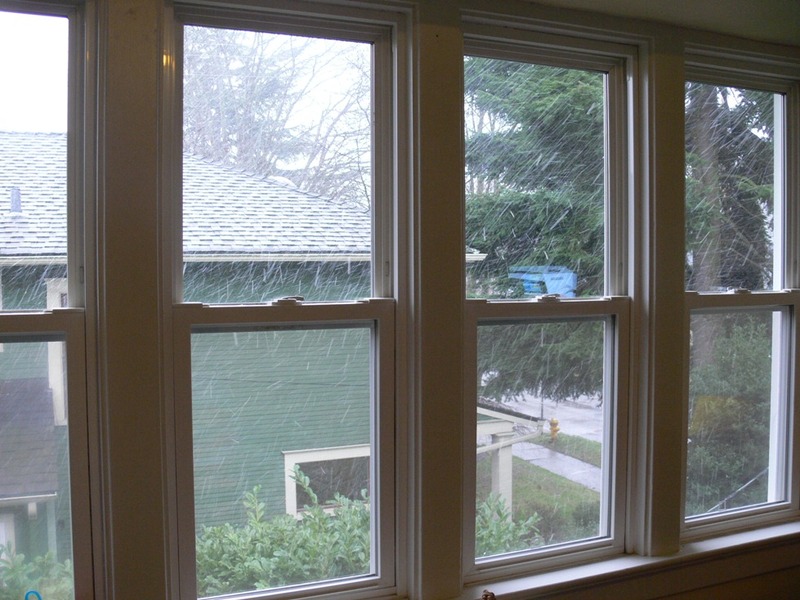 But enough about the weather! There is so much going on in blog-land right now! 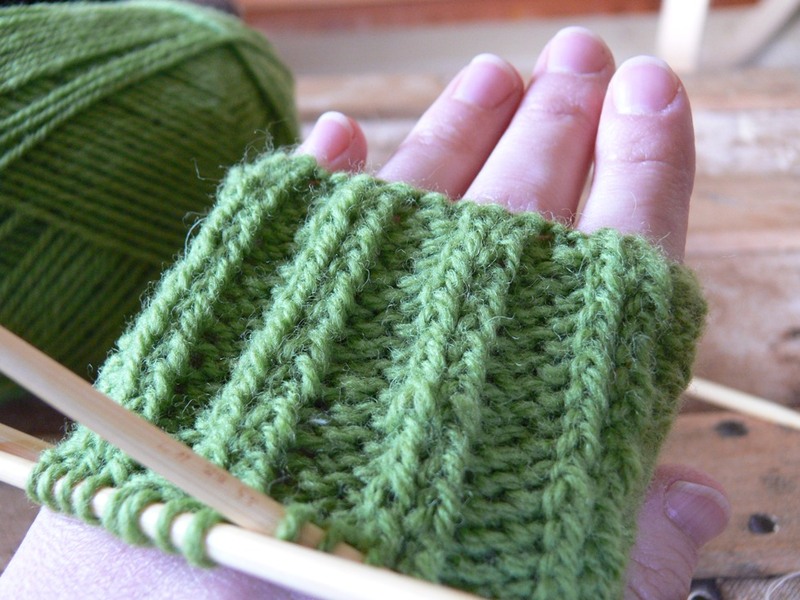 I think everyone is getting busy with the beginning of the new year and posting about their newest, latest projects. I have a bunch of links to share with you! - Amanda aka Soulemama posted about the solstice sweaters she made for her two oldest sons -- I love them both! They're inspiring me to knit something for Ben for next winter! - Check out these adorable "forest friends" slippers by felt queen Betz White. The PDF pattern is available for sale here. 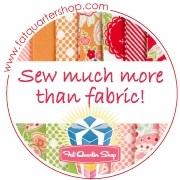 - Visit Red Pepper Quilts for some quilt inspiration, and make sure to enter the giveaway of Amy Butler's Soul Blossom fat quarters! 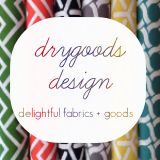 - Melanie of Modern Organic Fabrics has started a new blog called A Sewing Journal (check it out and bookmark it, it's great!). She recently posted about Laura Gunn's new collection for spring. Love!! - Here's a neat tutorial to make a modern log cabin patchwork pillow, on Design Sponge. - I love this Kaleidoscope quilt by Cluck Cluck Sew. I had to restrain myself from posting about 20 more links. I have bookmarked and put stars next to SO many posts this week! Tons of inspiration for the new year! What cool stuff have you found online lately? 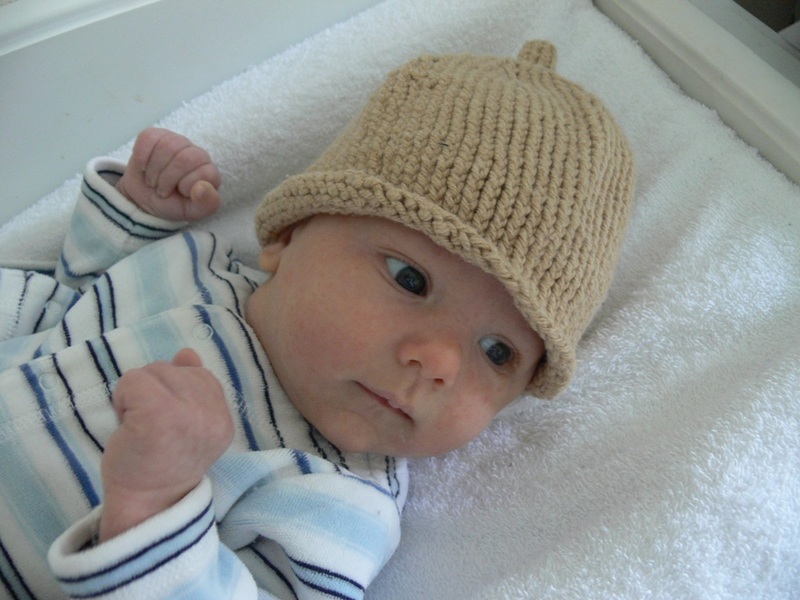 I wanted to show you a quick little knitting project I completed just AFTER Henry's birth. 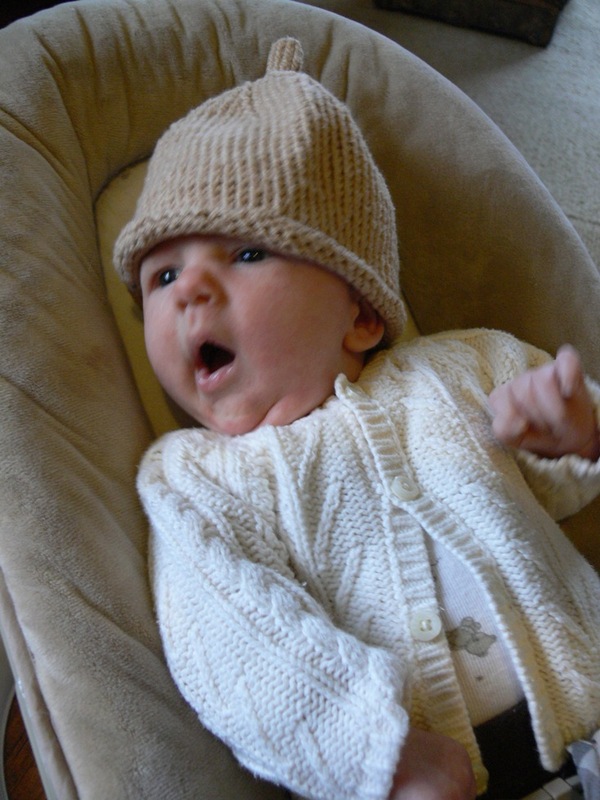 Yes, I was able to knit with a newborn asleep on my chest in those first couple of weeks! He wiggles too much now to replicate that experience. Sigh. 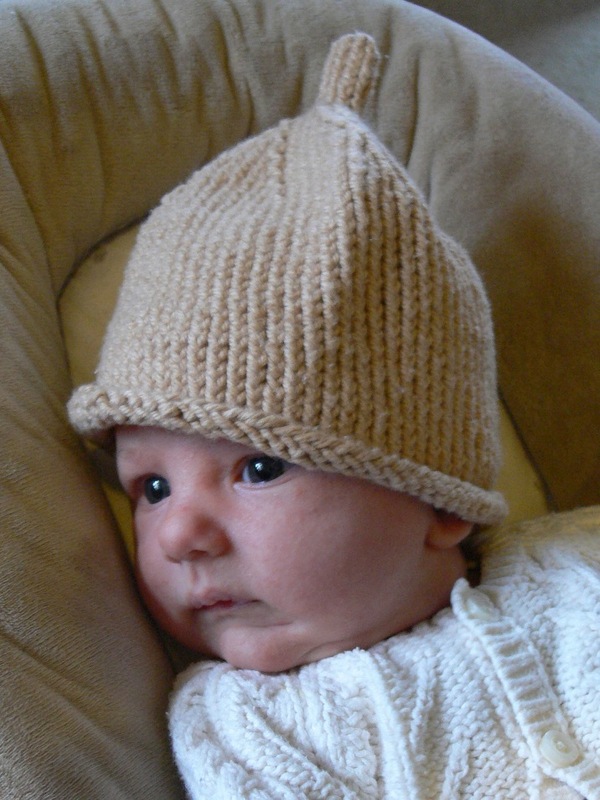 It's a little hat inspired by the Simple Hat in Baby Knits for Beginners by Debbie Bliss. 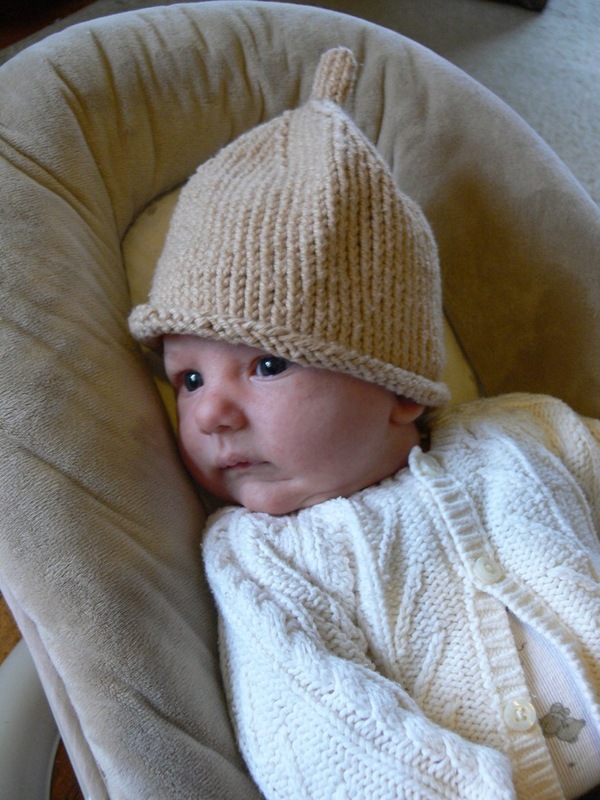 LOVE her baby patterns so much, and this cute hat especially! I used the last skein of that KnitPicks organic cotton I'd used for Silas's cardigan (ginger colorway). 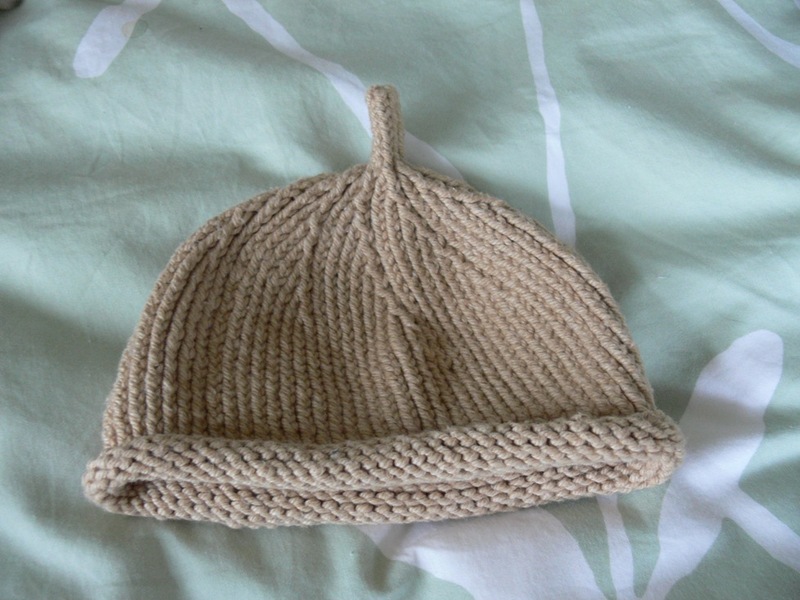 The gauge was all wrong for the weight of my yarn, so I followed my own baby hat pattern and added the stem. For the stem, I kept the last 7 or 8 stitches on my double-pointed needles and kept on knitting for a dozen or so rows (until the stem looked long enough), then used a tapestry needle to thread the "tail" of the yarn through all the stitches. 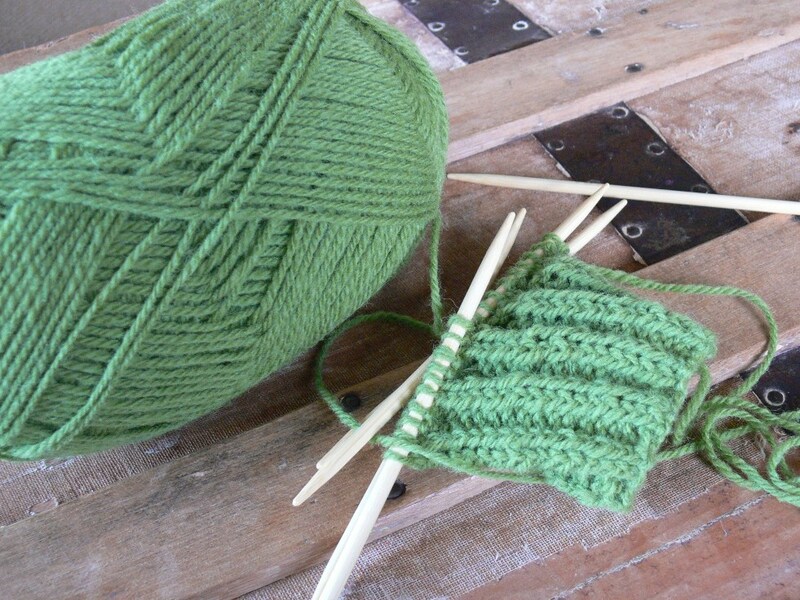 With hindsight, I would modify by keeping only the last 5-6 stitches on the needles and making the stem a bit longer. Super easy and the result is pretty adorable. However, even after washing and shrinking it, it is still way too big for Henry, as you can see! I'm sure he'll grow into it before I can blink though! As an aside, I love how this cotton yarn looks after being washed and dried -- it's got a slightly rugged appearance but feels so soft. 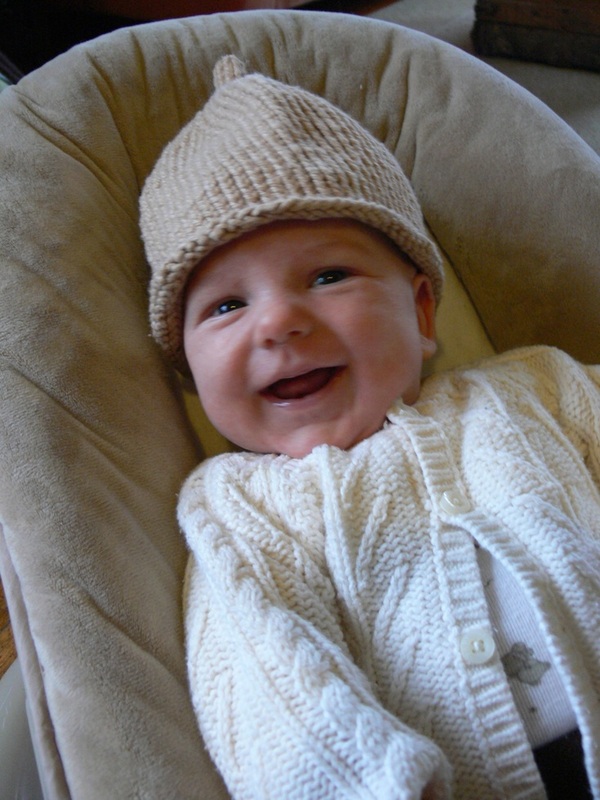 Here are a few gratuitous baby photos of Henry at 6 weeks, and a smile just for you! Have I mentioned how strange it is to only see baby Henry from a distance? After watching Ben grow up from that size until y'all left for Seattle, it is surreal to know you have a second baby I have never met! He looks so much like Ben, and so much like himself all at once, that smile is so sweet. I love the hat, and the yarn is wonderful for sure. The sweater you made Silas has held up beautifully. I'll add a gratuitous photo of Silas wearing it! Ignore the water spots on the sweater lapel, he'd just spilled some water. Links: Get to making, y'all! Show and Tell: New Jewelry!